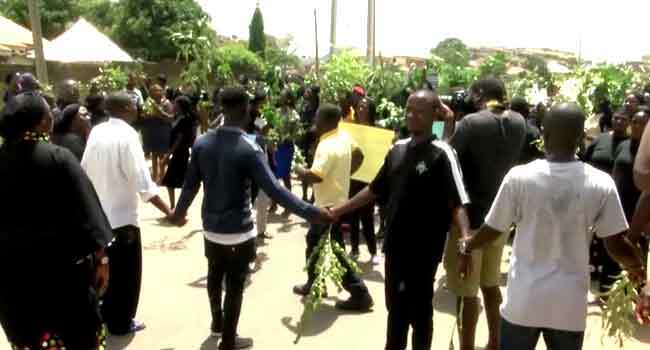 Protesters from the Christian Association of Nigeria (CAN) from the northern senatorial district of Plateau State destroyed property at the Government House in Little Rayfield on Wednesday. 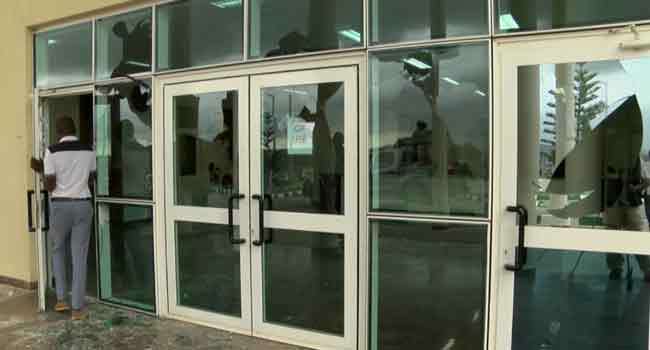 The demonstrators forced their way into the Government House in Jos, the state capital after they were denied access to the premises. 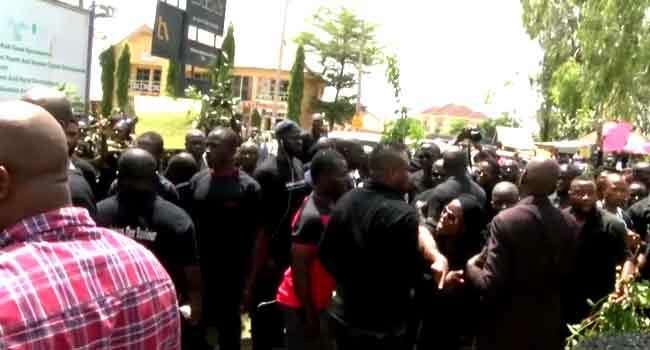 They staged the protest in condemnation of the attack on some villages allegedly by herdsmen, which left at least 100 persons dead and many displaced. 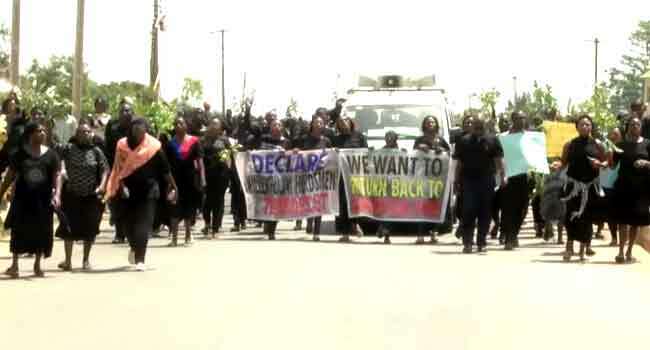 The protesters who were dressed in black attire had taken the protest to the Governor’s Lodge where they could not get the governor’s attention before proceeding to the Government House. 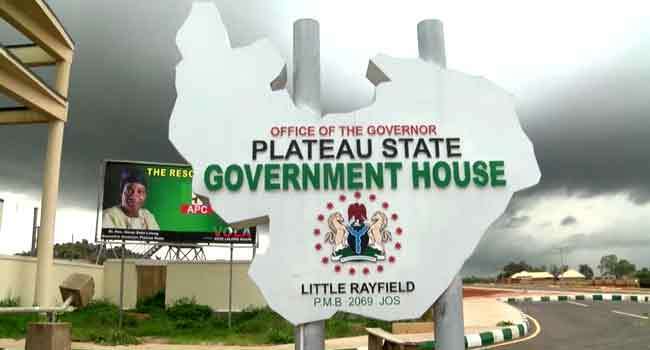 But the Commissioner for Information and Communication in the state, Yakubu Dati, condemned the action of the demonstrators despite government’s efforts to restore peace to the affected communities. 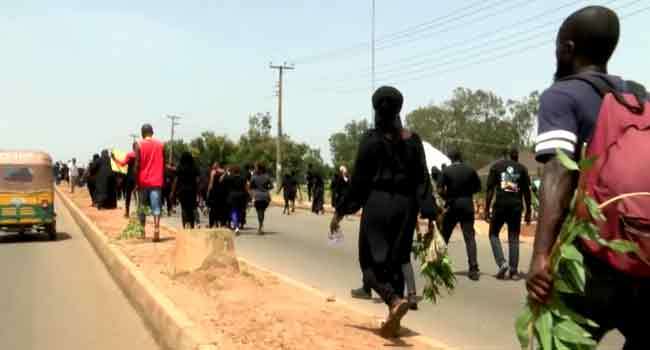 Protesters march to the Government House in Plateau State on June 27, 2018. 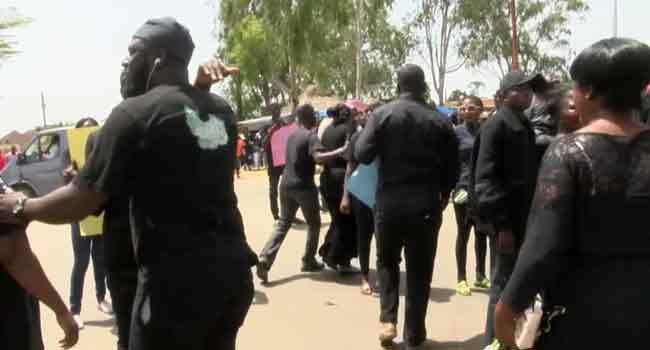 Residents march to the Government House in Plateau State on June 27, 2018, to condemn the killing of at least 100 persons by suspected herdsmen. 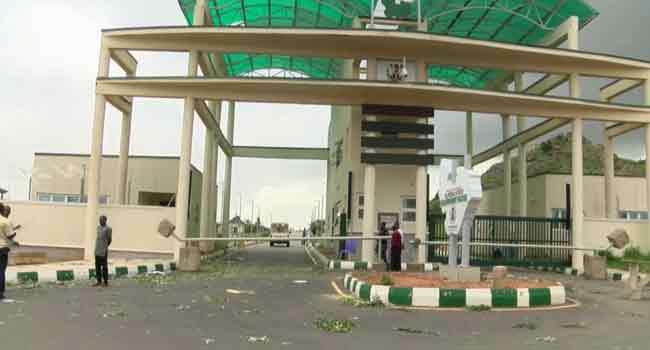 Front view of the Plateau State Government House after protesters invaded the premises on June 27, 2018.